I think styled shoots can be a great opportunity for planning brides to get inspired or find ideas they can make their own. 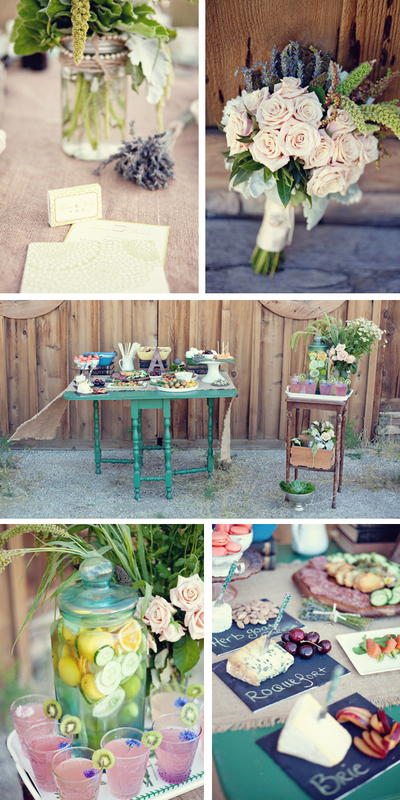 My favorite styled shoots are simple, budget-friendly, and full of pretty. 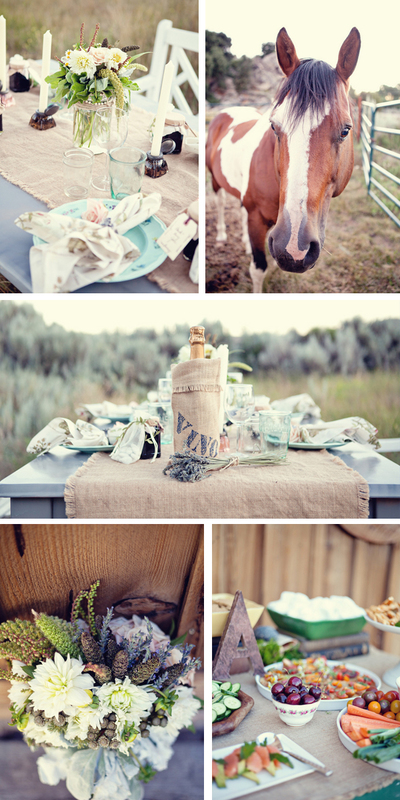 Today’s vintage farm-to-table inspired shoot is no exception. Here’s a bit about the concept from the vendors involved. 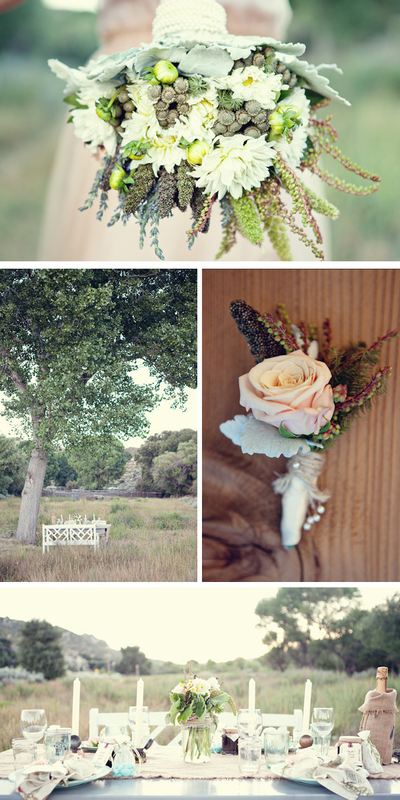 Rustic vintage elegance was the theme for this Southern California wedding shoot by ae martin photography and Leslie Miller Event Design. 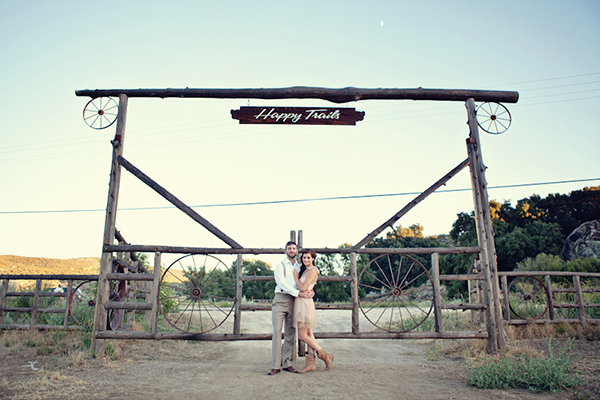 The details were inspired by sweet romance and the carefree days. The hors d’ouvres table was adorned with vintage classic books, antique tea cups, and mason jars filled with lavender lemonade. Kiwi slices were added for a dash of summer green. The chef from Heirloom Gatherings chose simple yet delicious and colorful treats like bruschetta, cheese boards, and s’mores for dessert. French macarons added a classic sweet touch. The dinner table, set in a quiet meadow, was full of hand-me-down china and glassware. Old fashioned ink well jars served as candle holders. Homemade blackberry jam jars and candied almond satchels for favors finished the look. The florals by Flowerchild were designed with a soft natural color palette, including pink blush roses, dusty miller, white dahlias, bay leaves, lavender, and amarathus hand-tied with ivory ribbon, pearls, and embellished with a vintage broach. 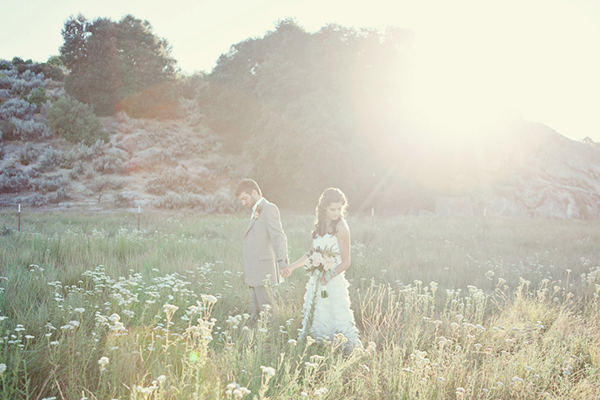 The bride’s hair was set in soft curls adorned with handmade hair pieces by Acute Designs. The bride wore several different dresses; a classic Maggie Sottero, a flirty tea length gown hand made by Peppermint Pretty, and a trendy blush colored Rodarte. Her shoes, of course, were old cowboy boots. Her earrings were handmade from crystals recycled from an old wedding gown. 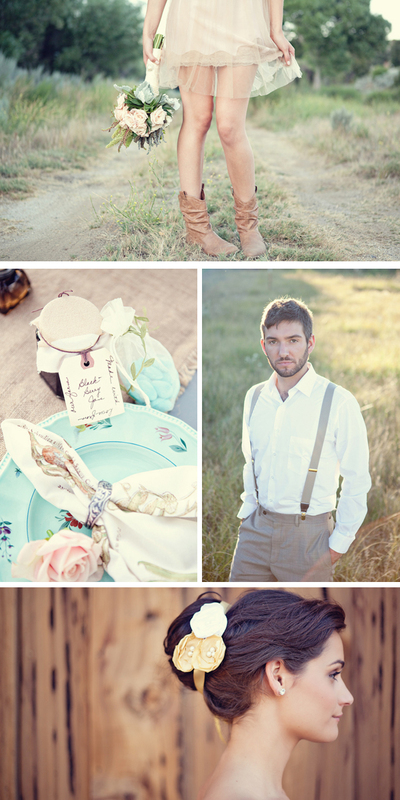 The groom’s textured tan clothing and suspenders fit in perfectly with the farm setting. I honestly don’t know what I love the most from this shoot. 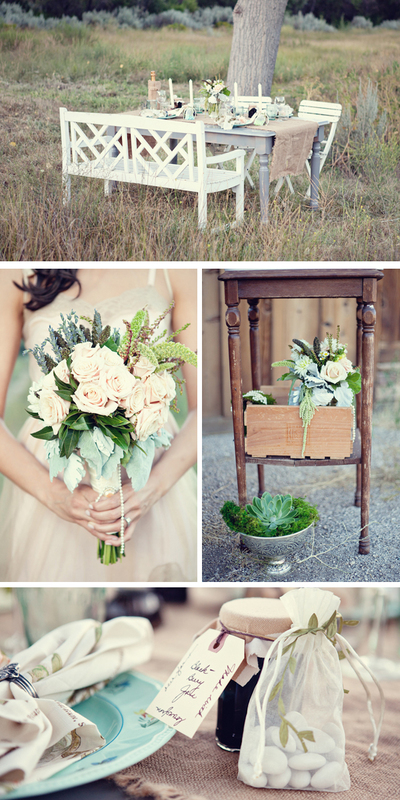 The bouquet is perfection, those dresses (especially that blush Rodarte!) 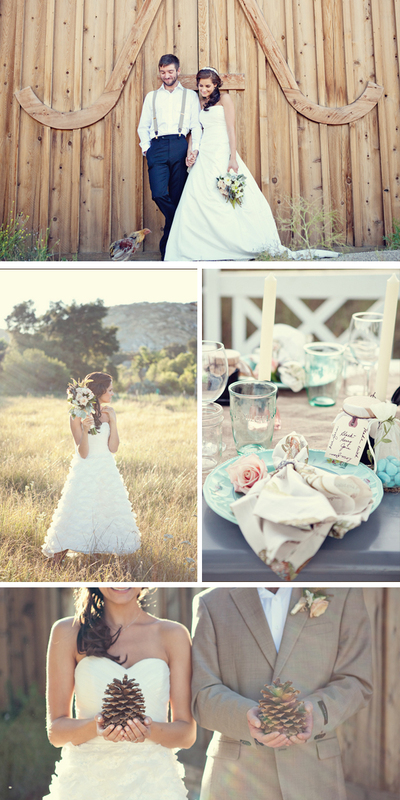 are fab, and that beautifully set table in a meadow…I die! And I love the farm-to-table menu. 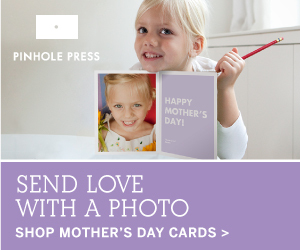 In fact, it inspired a post I’ll be sharing next week, so be sure to check back. Hint: it might be a little cheesy. super cute! love her gowns and hair accessories. 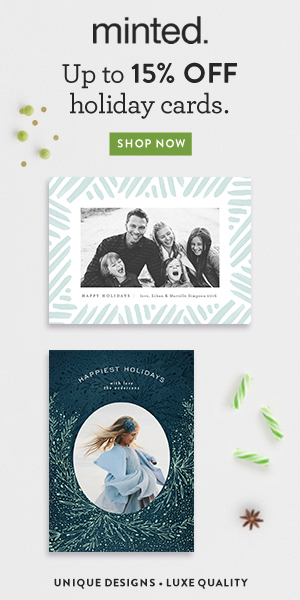 gorgeous shoot – so happy to be included! Anne is an amazing photographer! I love this! Does anyone know where the venue location was?